Please read our Informational Brochure (pdf) and our Frequently Asked Questions to make sure you understand the components and requirements for our certification program. Once you have read these materials, if you have further questions about our program, please contact us and we will be glad to help. Print and complete the first application packet and return the application to us by mail (see mailing address below). You can contact us if you wish to receive the application packet by mail. We will then send you Packet #2, which includes reference forms and the tuition agreement. Make sure we receive all required documentation: three completed reference forms (provided), official transcripts from the institution where your highest degree was earned, and the signed tuition agreement. 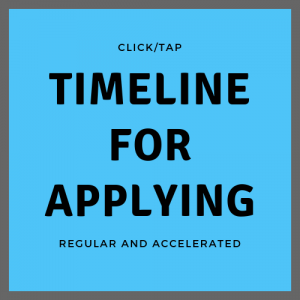 NOTE: We must receive all application materials and fees no later than August 1st. However, if you plan on applying for the AMS scholarship, you must apply to ADMTEI and be accepted BEFORE their deadline of May 1st. Please note that student applications require a $250 student application fee. This fee is non-refundable. You may pay by check or money order (made out to ADMTEI), by PayPal, or you can provide credit card information over the phone by calling our office. All tuition fees paid by the applicant shall be refunded if the applicant is rejected by the school before enrollment. We look forward to processing your enrollment!